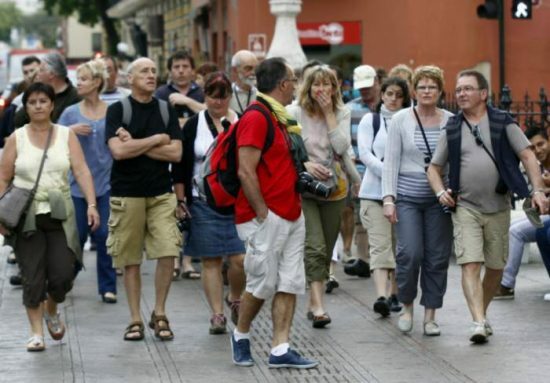 The Directorate of Tourism and Economic Promotion of the City of Mérida reported that from January to December 2017 the number of tourists that entered the city and registered overnight stay was 1,418,860 people. This figure shows an increase of 12.4% compared to the 1,262,775 registered in the same period in 2016, which represents a higher arrival figure of 156,085 visitors with overnight stays. 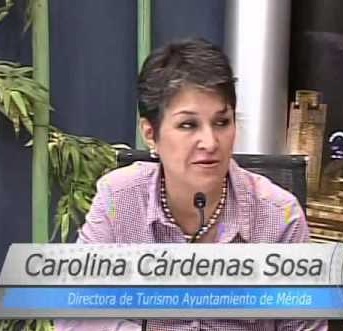 The agency director, Carolina Cárdenas Sosa, explained that these 1,418,860 tourists in Mérida represent 82% of the total visitors to the state of Yucatán. In addition, the accumulated percentage of occupation of January-December showed an increase of 2.3% with respect to the same period in 2016, going from 62.1% to 63.5% on 2017. According to reports from the Tax Administration System (SAT), the hotel revenue last year in Mérida was approximately $ 1 billion pesos, which represents an increase of 24%, higher than the $ 864 million pesos in 2015 and 40% more the $ 764 million pesos reported in 2014. In the period of January-November 2017, the SAT reported a cumulative hotel revenue of $ 1.07 billion pesos. This is a 22.5% increase over the $ 881 million pesos reported in the same period of 2016 and 49.7% increase over the $ 721 million in 2015, which, according to Cárdenas Sosa, represent almost a 50% increase in hotel revenue in just two years. The Director of Urban Development, Aref Karam Espósitos, informed that the hotel offer in Mérida will grow by 36% with respect to the number of rooms from 8,100 rooms in December 2016 to 11,000 rooms by the end of this year; that is, December 2018. Currently in the city of Merida there are 223 hotels with 8,509 rooms, while in August 2016 there were 220 hotels with 8,100 rooms, an increase of just over 5% in the accommodations offer. “These extra 415 hotel rooms represent an increase in hotel supply inventory of 12,480 additional rooms / night per month”, Karam Espósitos added. Twenty-four hotel construction licenses have already been authorized, of which 17 are new establishments that will provide 1,534 rooms and seven existing hotels that will be expanded or renovated. These will incorporate 332 new rooms, for a total of 1,856 units. Nowadays, there are eight hotels in process that have obtained the land use license or are in the process of getting a building license. These new or renovated facilities could provide between 500 and 700 additional rooms. Carolina Cárdenas explained that this means that by the end of 2018 there would be 25 new hotels and about 2,400 additional rooms available in the city of Mérida. The director recalled that at the beginning of the administration there were 218 lodging establishments and 8,081 rooms. With the current information, she calculates that by the end of 2018, Mérida will boast 248 hotels and 11,000 rooms, which represents a 36% increase compared to December 2016.